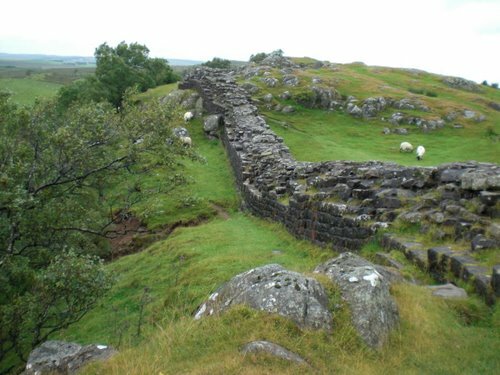 Hadrian's Wall, also called the Roman Wall, Picts' Wall, or Vallum Hadriani in Latin, was a defensive fortification in the Roman province of Britannia, begun in 122 AD during the reign of the emperor Hadrian. It ran from the banks of the River Tyne near the North Sea to the Solway Firth on the Irish Sea. 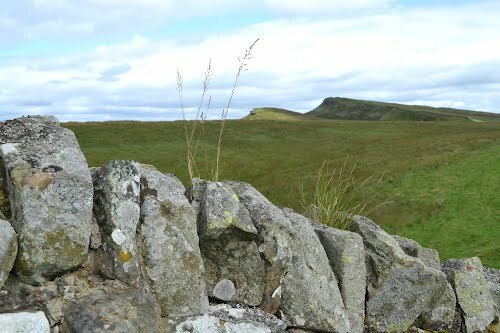 It had a stone base and a stone wall. 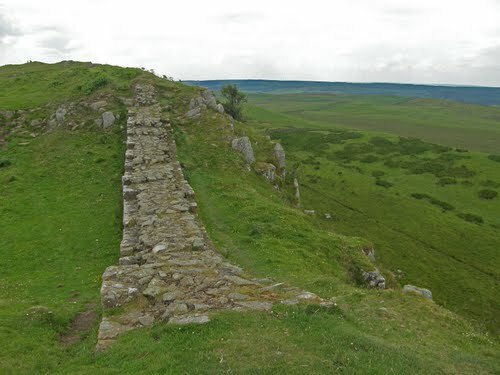 There were milecastles with two turrets in between. 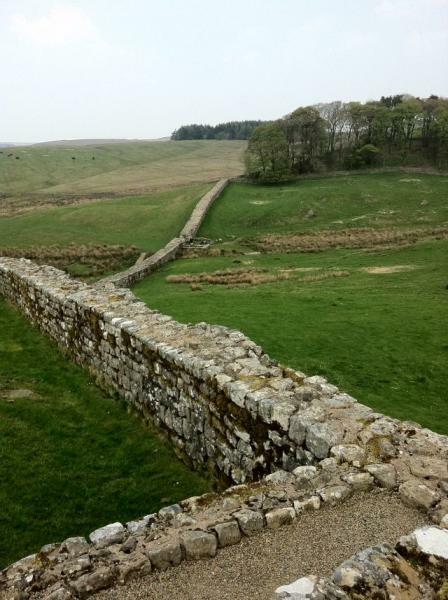 There was a fort about every five Roman miles. 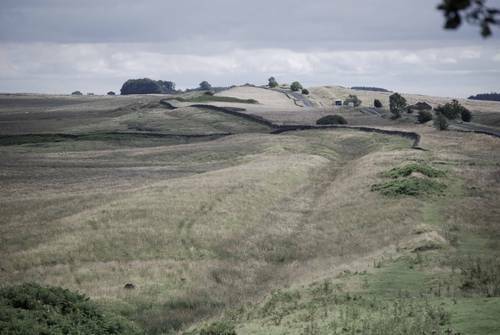 From north to south, the wall comprised a ditch, wall, military way and vallum (another ditch with adjoining mounds). 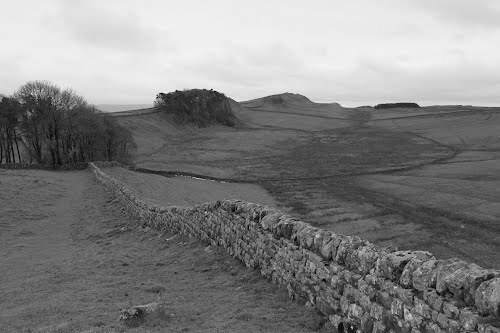 It is thought that the milecastles were staffed with static garrisons, whereas the forts had fighting garrisons of infantry and cavalry. 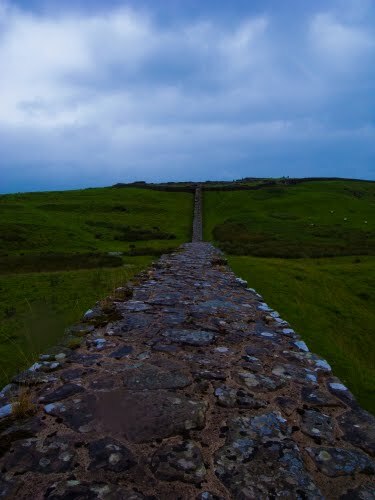 In addition to the wall's defensive military role, its gates may have been used as customs posts. 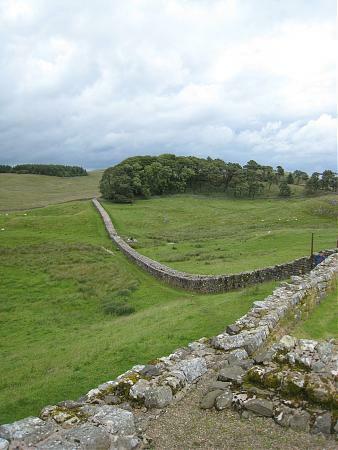 A significant portion of the wall still stands and can be followed on foot along the adjoining Hadrian's Wall Path. 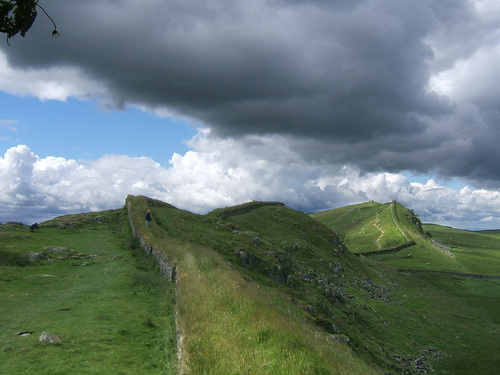 It is the most popular tourist attraction in Northern England and was designated as a UNESCO World Heritage Site in 1987. 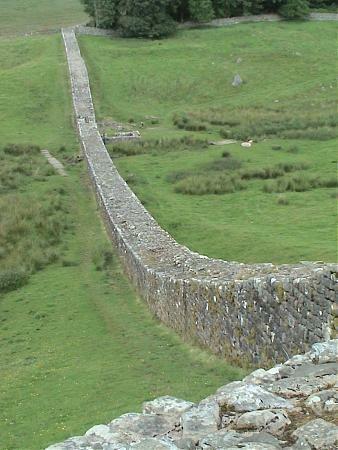 When in use it was effectively the northern limit of the Roman Empire. 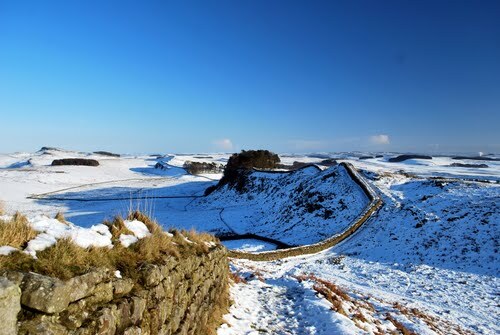 Hadrian's Wall, also called the Roman Wall, Picts' Wall, or Vallum Hadriani in Latin, was a defensive fortification in the Roman province of Britannia, begun in 122 AD during the reign of the emperor Hadrian. It ran from the banks of the River Tyne near the North Sea to the Solway Firth on the Irish Sea.